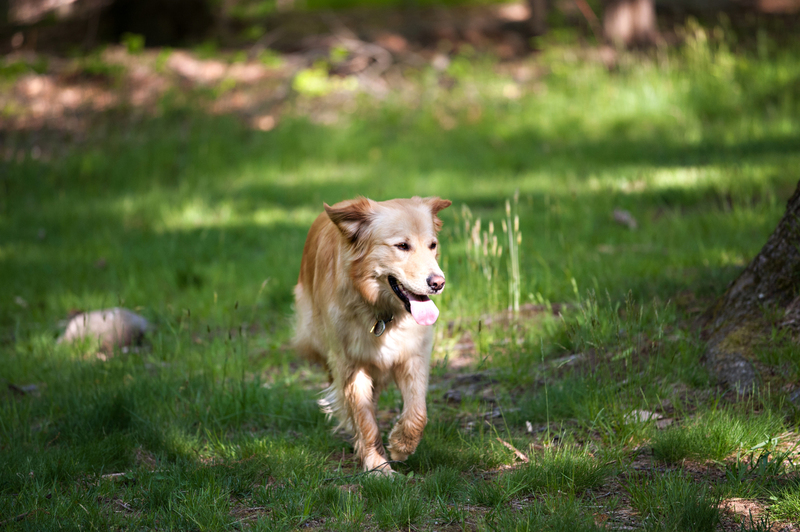 If you've ever been lost on a trail while in the company of a directionally-savvy dog, then you'll have no trouble believing what science is calling a breakthrough discovery: dogs and other mammals may possess a "compass" in their eyes. Earlier this year, researchers gathered at the Max Planck Institute in Germany to study the eyes of 90 mammals in the hope of finding a light-sensitive molecule called cryptochrome 1a. In migratory birds, these molecules are found in the blue cone receptors in the eye. Cryptochrome helps birds - as well as other migratory mammals and insects - orient themselves and navigate, by tracing the Earth's magnetic fields. The scientists' discovery was surprising: many of the carnivorous mammals they studied - including dogs, certain primates, and bears - did in fact possess the cryptochrome 1a molecule. Other animals, like cats, did not. Stories of dogs trekking hundreds, even thousands of miles to find their way home abound on the Internet. Dog lovers routinely report that their dogs can tell time better than an iWatch. And then there's a 2013 defecation study which showed that dogs consistently poop (and pee) on a north-to-south axis. Can dogs actually sense the Earth's magnetic field? Clearly, there are clues. You've seen Earth's magnetic field in action: it guides itty-bitty sea turtles as they march from beach to ocean to start their 8,000 mile migratory cruise around the globe, as well as Monarch butterflies that fly across two countries to reach breeding grounds in Central Mexico. Bats, foxes, pigeons and even bacteria are also able to use our planet's magnetic field to navigate their world. But dogs? What possible need could this extrasensory perception serve? It's not like our pets need to migrate long distances to find food or comfort. Many modern dogs live a pampered existence, watching the world from behind windows or fences without a want or a need. But consider life before all of our modern conveniences, back in a time when your dog's natural instincts played a big role in our daily functioning. Retrievers magically found downed game for us to eat, herders mystically gathered our large flocks, and sledding dogs mushed steadily through dangerous terrain to take us where we needed to go. Perhaps our dogs actually saw magnetic lines stretching before them to guide the way! At this point, the study only hypothesizes that dogs and other mammals possess a sixth sense for magnetic fields, but it would come as no real surprise that dogs, often celebrated for their tracking abilities, might actually have a built-in compass to help steer them on their way. And for any fan of Eric Knight's Lassie Come Home or Sheila Burnford's The Incredible Journey, it's heartening to know that these dog heroes' long journeys home were indeed possible.